A few weeks ago I took to Facebook to tell my family and friends that I have dyspraxia and how learning about this in my 30’s has changed not only how I view myself but everyone around me. I am now looking into getting an assessment in adulthood. Many of you who know me will know I do not always come across as the most conventional of people. Dare I say ‘quirky’. 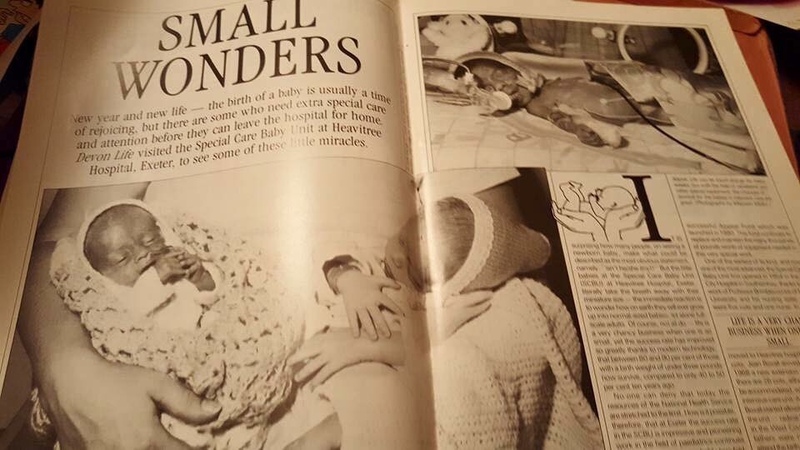 Me and my twin brother as featured in Devon Life magazine in 1986 as part of a feature on premature births. Over the last few months I have come to realise that I have a life-long neurological condition with no cure called ‘dyspraxia’ (or increasingly known as DCD) something that has and always will affect me every day of my life in ways that are invisible to the casual on-looker. In two weeks time I am launching an online magazine with the help of 30 volunteers to share our stories, raise awareness and highlight the coping mechanisms which make life easier. The condition suffers from a lack of research and public awareness. It is to all intents invisible and as there are no outward signs of pain and so can often go unnoticed and undiagnosed. It affects co-ordination. It can affect things like; gripping a pen, handwriting, catching a ball, riding a bike, driving a car, typing on a laptop, a sense of rhythm, movement. It can affect short memory mean receiving verbal instructions and remembering them without writing them down is incredibly difficult. It’s not me simply be forgetful or not concentrating or being stupid. I can quite easily put down my keys and forget where I left them 2 minutes later. It’s not me being careless or irresponsible. In essence, brains of people with this condition work differently and we all rely on our brains to cooperate with the rest of our body to do anything. If you’ve ever had a conversation with me person and found me ‘ a bit hard-going’ it’s because dyspraxics can have issues moderating their voices. Slurred, rushed speech, quiet, pitchy, not big enough gaps between individual words so they all seem to run into one another and evening forgetting words altogether meaning I can be hard to understand. That’s without bringing into it the short-term memory issues which means I may well forget what I’ve just said. So what does all this mean? It can make for a person who will often avoid engaging with others because of self-consciousness about their speech, or anxious about possible embarrassment is social settings or standing out in a PE lesson. The tragedy is, that as dyspraxics have often struggled doing supposedly simple things in school like catching a ball while everyone around them has made it look easy, they have developed a sense of sadness and hopelessness in childhood which makes them extra empathetic as they would hate to see anyone else feel the way they did. Empathetic and wanting to help those who are sad yet too self conscious to reach out and engage socially. You can see the dilemma – you can feel the frustration. It’s not all bad though Dyspraxics tend to have some great qualities which are a by-product of the condition. Not only strong empathy but creativity! Great creativity. If you are stood there in a school hall struggling to catch a ball or to use a skipping rope in the playground while everyone around you makes it look easy it can be demoralising but naturally you look within yourself to discover what you CAN do. This creative thinking means there are artistic people in the creative industries who are dyspraxic. There also tends to be tremendous drive amongst Dyspraxics, keen to find way to do things through trial and error and sheer perseverance. There are dyspraxics out there with degrees, PhDs, positions in boardrooms. What you don’t see are the coping mechanisms they employ to overcome these invisible hurdles. Because of the way the dyspraxic brain is wired we can have trouble with planning, with sequences and things can take us a little longer to do but this not through a lack of trying. In 2018, students can receive extra time in exams and in the workplace and can use laptops instead of using a pen. We face an issue with too few people knowing about condition especially in schools and in the workplace meaning undiagnosed people could be written off as clumsy, careless and unorganised when really will a bit of patience, understanding and support their creativity, drive and way of thinking can really make a dyspraxic student or worker and valuable and wonderful asset whether it be as a loyal, empathetic friend, a tenacious worker or a creative force with ideas that seem to come out of nowhere. Dyspraxia can hold people with it back and throws in a few extra hurdles but it doesn’t have to stop them. A dyspraxic can do whatever anyone else can. It just might be harder for them and take a little longer. There is a growing number of adults like me discovering they have lived their whole life with this dyspraxia, the positives of kindness and creativity I always put these qualities down to me being me. These things make me like myself and feel proud of myself. The struggle to do certain things like, catch a ball, talk clearly, learn to drive, remember things, being slightly slower at things, forgetting what I’m saying or what someone has asked of me. I always thought these were me being me too. It made me angry with myself, frustrated and so self-conscious. Learning that all these things are not just me being me is the most amazingly liberating event of my life. To discover a population of people who share the same or similar qualities and challenges as me is amazing. Like most conditions it is very much a spectrum and not all dyspraxics will necessarily struggle in the same areas or to the same extent. For funding reasons the NHS doesn’t cover assessments for dyspraxia for adults outside of education and can cost £400-£1,000. That’s a lot and remains one of the only learning difficulties that isn’t funded by the NHS. I hope my site and the voices of my site contributors will show why this is such a travesty as is the sheer lack of scientific research into the condition. For every dyspraxic like me who has managed to get a degree, get married to an amazingly supportive partner, get a job, managed to get support for anxiety and self consciousness there are others who can’t get a job. They may come across awkward or forget what the interviewer asked them or have a voice that is hard to understand or forgot what they had said halfway through delivering an interview answer. They may not have done well in education and failed exams because they ran out of time or hated school because they were bullied for being different or being bad at sport . It is so liberating knowing about dyspraxia but so sad to realise that there are many others who may be struggling in life because of it. I think of how many people trapped in the benefits system are undiagnosed, how many are homeless after failing in education and failing to get a job, struggling to make friends and turning to alcohol for escapism. As I said dyspraxia is invisible. It won’t show up on a brain scan and too few people know about it. I hope my website can really raise awareness and that first hand testimony of the ups and downs, triumphs and struggles from adult dyspraxics can help not only other dyspraxics not to feel alone but for others to learn about a condition that is putting these invisible hurdles out there getting in the way of the some brilliant , kind and creative people and make them look awkward and clumsy, careless and forgetful when really they are none of these things. Just people giving 100%. Thank you for the very interesting read as my son is dyspraxic and I also think I maybe. Do you have any links in the North West for assessments? Axia-asd.co.uk. in Cheshire. It says for asd but if your read further down they do diagnose dyspraxia and the lady who owns the company is actually a dyspraxic. Dr Buchanan,I think she’s called. 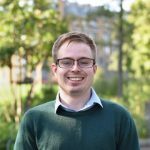 Excellent article and by far the best first account of what I’ve seen anywhere on the web on what it’s like for someone who has dyspraxia. One of the best descriptions I’ve read anywhere on the web on the challenges dyspraxia presents. Excellent and well done. If you hear of one Amanda please pass on the info as we are in Lancashire and I have a 13 yr old with dyspraxia, diagnosed 2 years ago. This magazine is amazing. So helpful for us with older children approaching adult hood. It’s the best information I have found so far.